Public education gets the blame for producing dumb students and not providing business with qualified candidates. The ball is 100% in the school's and teacher's court right? Hold on a minute. Let's look at some U.S. business hiring practices that may also be contributing the problem. And then let's ask the geniuses at the Business Roundtable what they are going to do to fix their end of the problem. The lament from business is "Oh boo hoo, we can't find any good candidates with the skills we want. The public education system just sends us dumber and dumber kids." They then point to cherry picked statistics, like PISA and TIMMS score comparisons with other countries, to prove that those statements are true. But let's take a moment to examine their statements. The moats, fortified walls and iron gates of ancient fortresses are easily overcome defenses compared to today's equivalent, the Human Resources department which can keep out even the bravest warrior and most qualified candidate for a position. 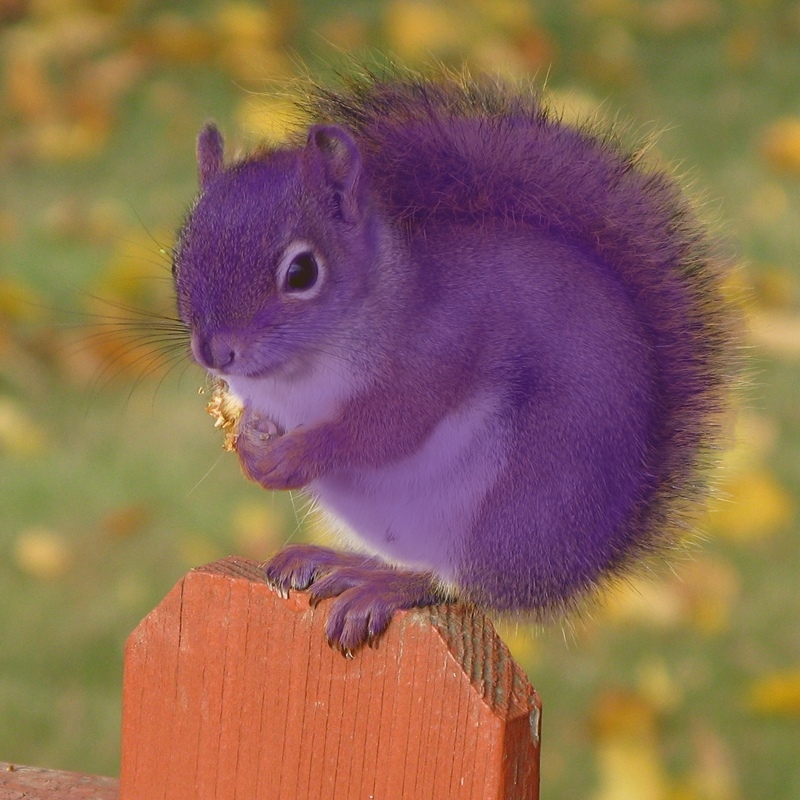 When a company says they can't find any "good" candidates, consider the purple squirrel. The Urban Dictionary says this about purple squirrels, "For all practical purposes, there is no such thing as a 'Purple Squirrel'; not in nature and not in the job market. It is a metaphor used by recruiters to identify the unrealistic expectations of a client company." The purple squirrel is the bane of the modern recruiter. They can find excellent candidates, yet the company still won't fill the position. The purple squirrel, or perfect candidate, comes preloaded with exactly the right qualifications and experience, and is willing to work for the lowest salary. In today's job market, as more workers become unemployed, companies become more selective and move ever more slowly to fill positions. They hold out for the perfect candidate who can perform a wide range of skills but who is going to be economically competitive with the workers in other countries who; a) have a lower wage scale and b) have not racked up enormous college debt trying to find that magic mix of skills that will get them past the HR department screening and whose salary expectations are high due to the need to pay off that debt. Companies must also be concerned about legal liability in an environment where EEOC guidelines provide every potential candidate with fodder for a possible law suit. They become risk averse to hiring anybody with the slightest blemish in their careers making them even pickier in their assessment of possible candidates. All of these concerns fall under the HR definition of a "good" candidate. Its getting easier to see why there might not be so many of them. There is another business practice that may be affecting the quality of candidates who are applying for advertized jobs (where recruiters are not involved). Some companies advertise a job at a certain salary and then, after they get enough responses, start beating down the applicants to see who'll work for the least amount of money. Its easy to see how highly qualified job applicants who've been through that process a few times conclude that it's not worth their time to respond to advertisements for job openings. Employers give the appearance of wanting lower quality candidates by offering correpsondingly low salaries, so guess who shows up for their job interviews? The low quality candidates. Common Core standards are advertized to make students ready for college and the global job market. They seem to promise employers that purple squirrel which, is it any surprise, makes businesses all vociferously support the standards. In all my research on common core I have never come across a report done by the US Chamber of Commerce that defined what specific skills businesses want students to master. They have studies that say that businesses can't find candidates with the skills they want, but those skills are never named. Beth B. Buehlmann, Executive Director of the U.S. Chamber's Center for Workforce Preparation before the House Education and the Workforce Subcommittee on 21st Century Competitiveness had the only definition I could find. They say candidates are illiterate, and here is how they define literacy. The definition of literacy has changed over time and will continue to change. One hundred years ago, "literacy" was defined simply as the ability to write your name. In the new high-tech, highly competitive 21st century workplace, literacy means the ability to read, write, compute and solve problems, communicate, listen, and perform basic tasks. The National Institute for Literacy finds that almost 50 percent of American adults have low literacy skills making it difficult for them to do many of the tasks required to carry out work and family responsibilities. Beyond the foundation skills of basic literacy — reading, writing and arithmetic — the meaning of workplace literacy has expanded as workplaces have changed. Technology has had a particularly profound impact on today's workplace skills requirements. New technologies, information, and competition will make today's state-of-the-art products and processes obsolete tomorrow. It has been estimated that jobs will be wholly restructured every seven years. Few working Americans will be able to remain competitive in their existing jobs without continually learning new skills. I challenge the Chamber to define a single set of skills that all their members would agree represent the skills they want workers to have. That list would either be very short in order to get 100% consensus, or would take the average person until age 40 to complete. Public education therefore represents a cross section of all those wants with a sampling of skills from many areas that can be covered in 12 years. Is it any wonder then that we aren't producing students that match their desired skill set? The problem of matching job candidates to job openings is a complicated issue that could stand some improvement by ALL parties --- the schools, the student / job applicants, AND employers. Education is not mentioned in the Federal Constitution, let alone the consideration that it is within the purview of the government to provide a workforce for any concern, public or private. I also seriously doubt that it is provided in any State constitution that the government has a duty to provide a labor force. The education of the citizenry is mentioned in supporting documents and treatises, but the goal is simply to see to the welfare and well-being of said citizenry, and in furtherance of a functioning society. Nowhere in any founding document does it say we must equal the Chinese in Math or Biological Science, nor that we, as a nation or a State, produce x number of engineers. It was never in the public discourse regarding education or anything else that this be the case prior to the Fundamental Transformation of public education beginning in the 70's. Rather, it was expected that 1. The cream would rise to the top and produce the leaders, innovators, entrepreneurs and pioneers to propel American exc eptionalism, and that all those millions merely involved in the competition, in vying for the A';s and B's and scholarships, would produce the necessary "workforce" to fill whatever middle and lower level "slots' were created as a result of the free pursuit of individual aspirations. I firmly believe that there are many teachers out there who still want to teach, to see that "aha!" moment in their students and who do not see themselves as facilitators for either The State or for the Crony Capitalists.